I'm back with another card using the new Zodiac Cuties stamp set from Scrappy Moms Stamps. 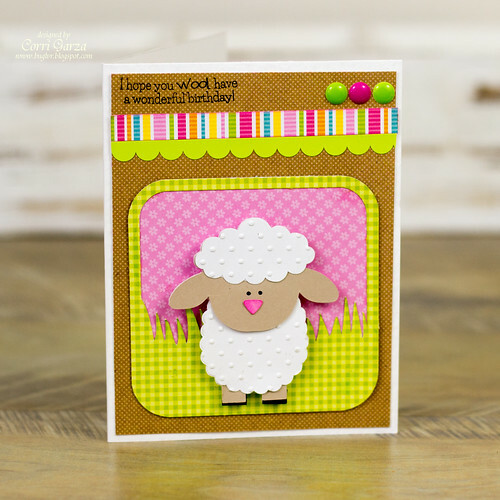 This little lamb from Lori Whitlock is a great fit for this sentiment. I used paper from the Doodlebug - Hello Sunshine Collection. I love the kraft mixed with the bright colors. You can see more projects using these new stamps by visiting the rest of the Design Team (links in sidebar). Our guest designer this month is Georgianna. Your card is super duper cute. Love it.